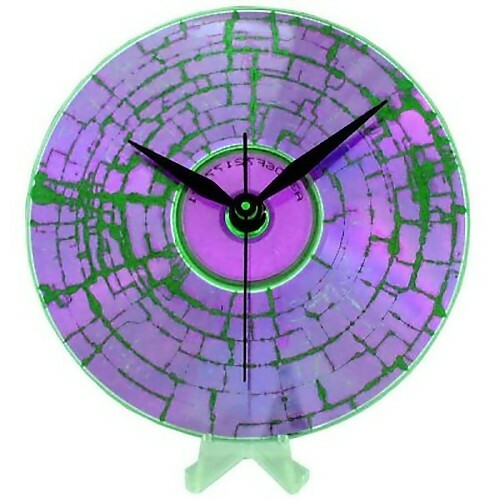 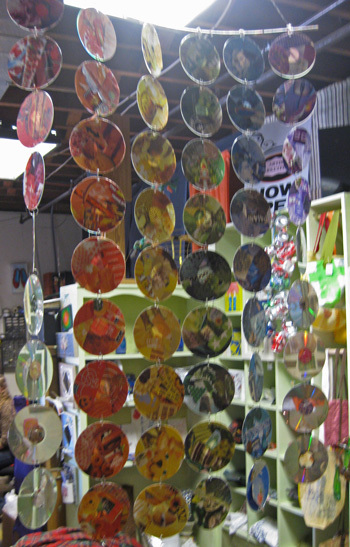 Collection of Creative and Cool Ways To Reuse Old CDs from all over the world. 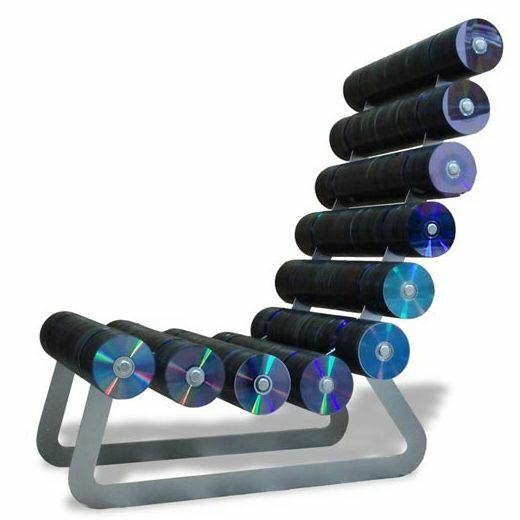 CDs Chair: Creation of designer Belen Hermosa, this chair must have used a few thousand spare compact discs lying around. USB CDs Lamp: This cool USB powered lamp saves energy by using 50+ times less power than your regular old CFL lights. 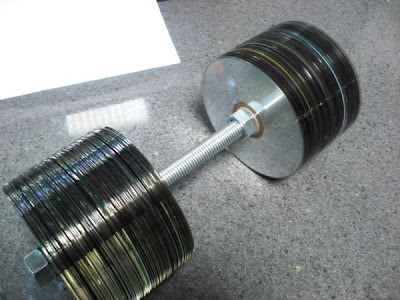 CDs Dumbbell: Turn your old CDs into dumbbells; all you require is 150 CDs, about 75 on each side on a threaded rod and bolts to make a 10 lbs weight. 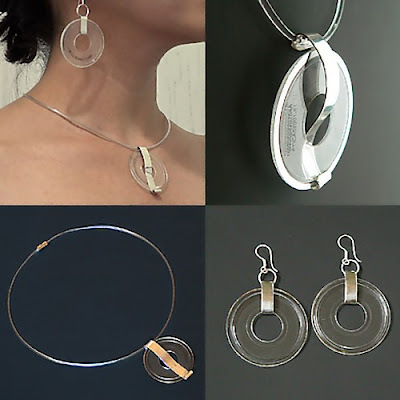 CD Jewelry: Artist at Neko Design creates beautiful jewelry using CDs with handmade sterling silver. 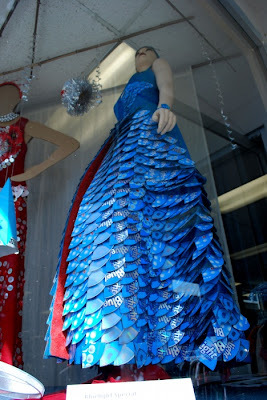 CDs Dress: A cool looking dress made of CDs. Pavilion Made of Used CDs: Architects Arielle Blonder, Guy Austern and Mushit Fidelman designed this pavilion made of CDs. 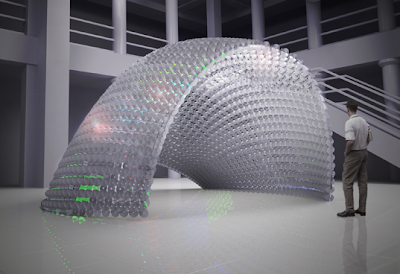 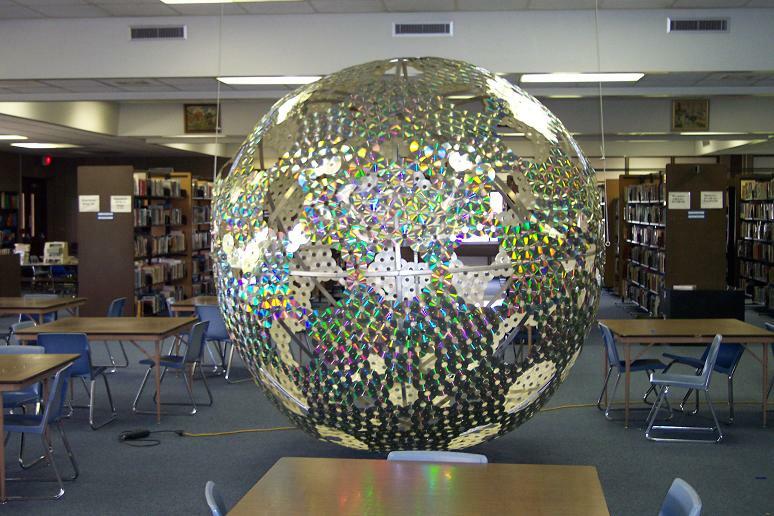 Amazing Q-Ball: Students from Quincy High School's Creative Problem Solving Course made this geodesic structure using 2040 compact discs, and 3420 brass fasteners. 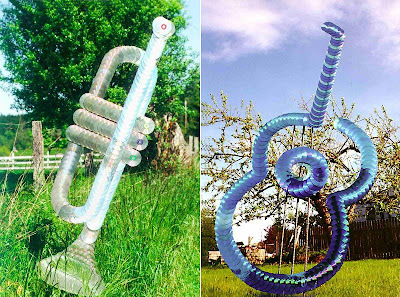 CD Sculptures: Designed by G Radebaugh, these sculptures are made using several hundred CDs. 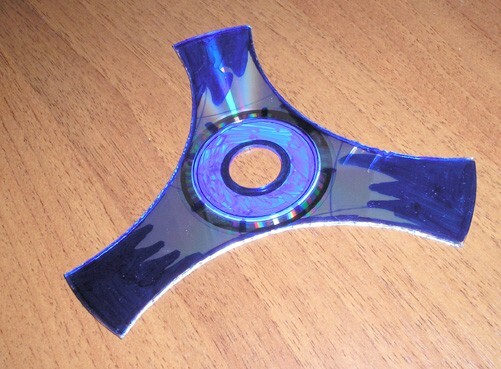 Mini Hovercraft: Create a mini hovercraft using just a CD, balloon, superglue, and a waterbottle top. CD Disco Ball: To create this cool disco ball you need some unwanted CDs, some aluminum tape, and a paper lantern. CDs Wallpaper: Compact discs can make a cool wallpaper, though its going to be a bit too shiny. 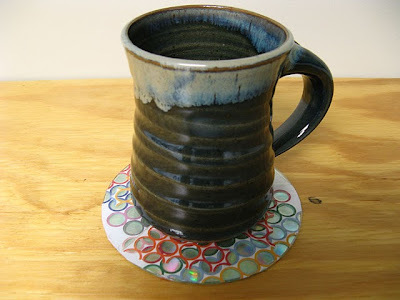 CD Coaster: Easiest and coolest way to reuse a CD is to make a coaster out of it. 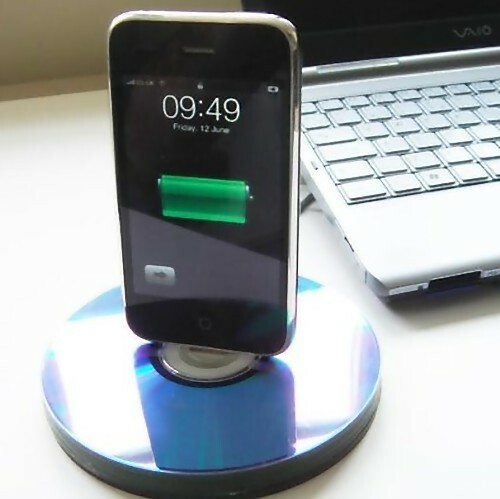 CDs iPhone Dock: This one is really easy to make and looks cool on your desk too. 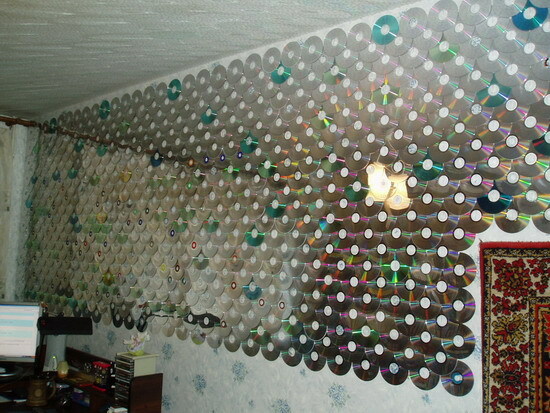 CDs Room Divider: "Organize your CD's by cover art color or paint them. Then string them up as a room divider." 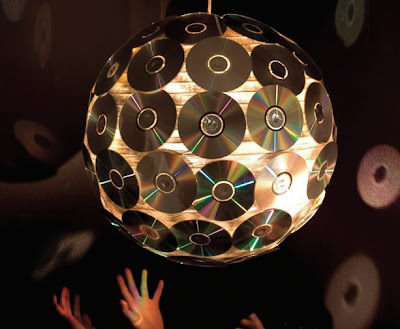 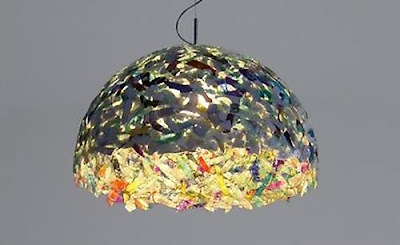 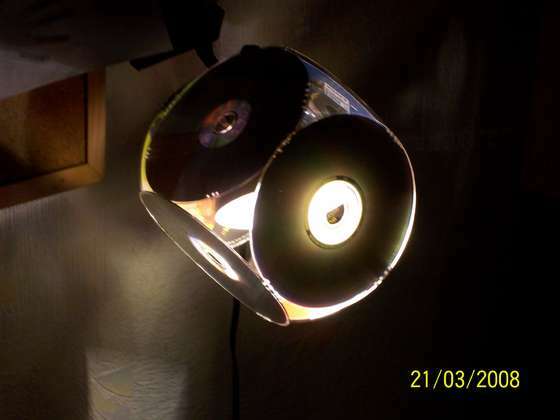 CDs Lampshade: Another creative use of CDs. 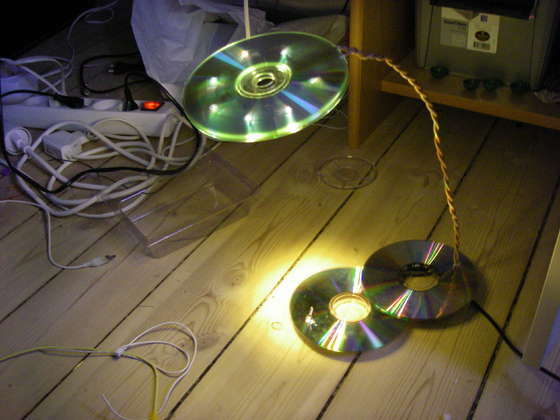 This lampshade is created by placing 6 CDs at 90-degree angle.